IAMBRIGITTE : Say bye to dark spots with Shiseido White Lucent + giveaway! Say bye to dark spots with Shiseido White Lucent + giveaway! A few weeks ago, I was complaining how dull my face looks. I looked so tired and well, old. Sniff. I remember how my skin used to glow when I was younger. But now...ah, forget it. 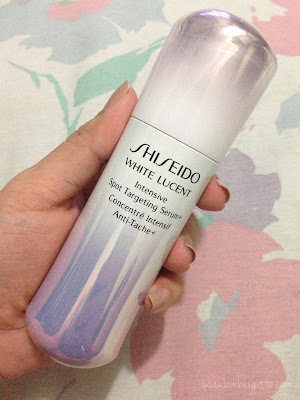 When I got an invite from our friends from Sample Room to try out Shiseido's White Lucent, I just knew I am in for a very good treat. Besides, I've known Shiseido since my college days and I know how good the brand is most especially when it comes to their skincare. 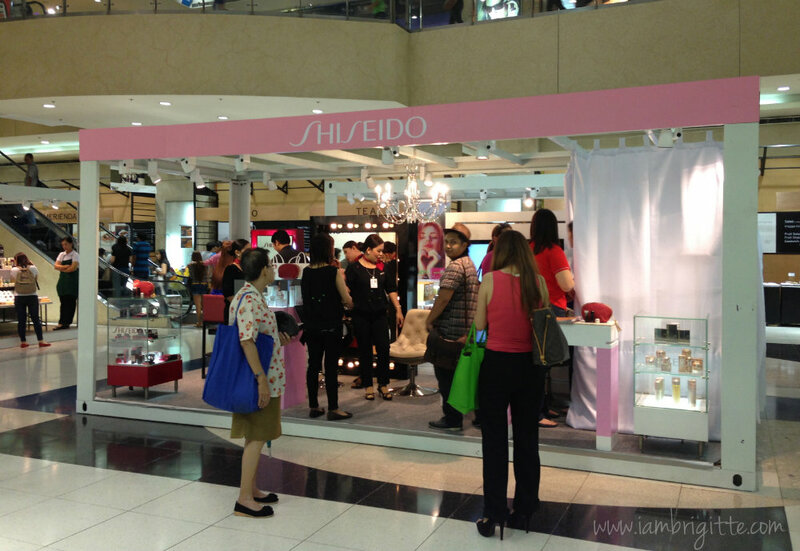 I was escorted by my gorgeous friend Sophie, to this lovely setup for Shiseido at the ground floor of SM Makati. By the way, this Beauty Lounge is there until Feb 28th so drop by for a free consultation. You can also get a free makeover for every single purchase. 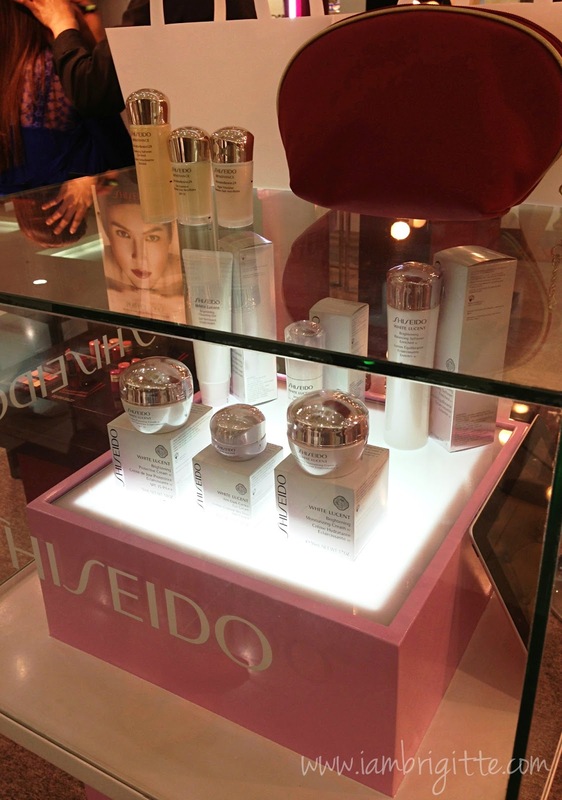 And there, I came across this familiar skincare line, the Shiseido White Lucent. Familiar because my mom used it a few years back. She's an avid fan of Shiseido, and still uses a number of their products up to this day. She actually ditched some skincare items from other brands to go back to Shiseido. 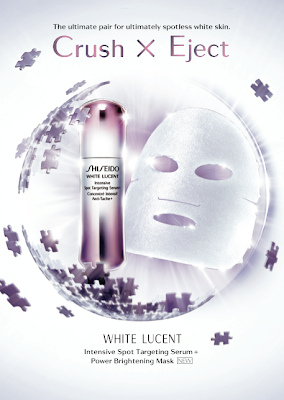 It's been 10 years since the White Lucent line has been launched. But now they added the ultimate whitening pair that will get rid of those nasty pigmentations and age spots...the Intensive Spot Targeting Serum + Power Brightening Mask. 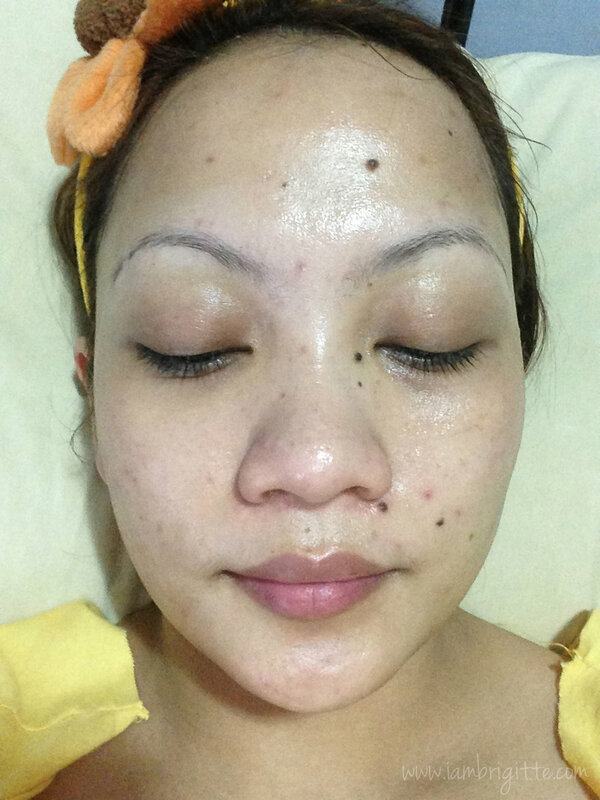 The serum is milky white, and gets absorbed by the skin easily. 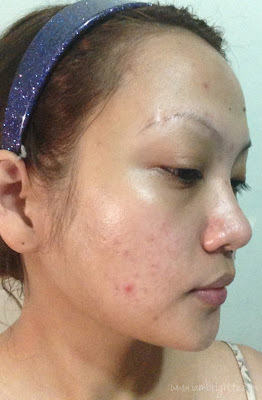 My face was itchy that day, probably because of the ever-changing weather but immediately felt relieved right after the serum has been applied on my face. 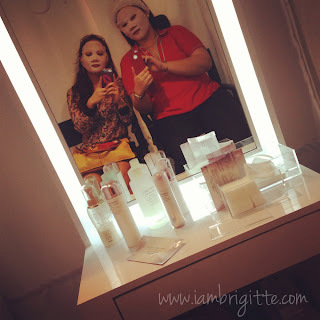 Of course we were also given the chance to experience the brightening mask. Here's me and Kat trying to look normal despite looking silly with our masks on. After that, we were also given a makeover by the Shiseido team. The serum + the mask really made a difference. My skin looks brighter, moisturized and less tired. I was contemplating on going back to my old skincare that took care of my nasty breakouts and the scars it left. But I am not sure anymore if I can still manage the peeling and the redness that are sure to come with it. 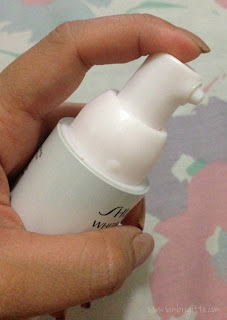 So I am willing to give this whitening duo a try by using it for 7 days. I've actually started using the products a few days after the event but I just had to stop because I got a facial (plus a lot of pricking and extraction, ouuuch! )and was advised to stop applying stuff aside from the ones given by the derma. As you can see, I have a lot of redness and scarring going on. I've noticed that my skin looks dull, despite having been able to sleep long hours on some days. In short, I look old and tired. So what exactly does this duo do? The serum seeks the melanin pigments and crushes it into fine particles. With its main ingredient, MelanoCrush Energizer, it targets dark spots right into their roots. 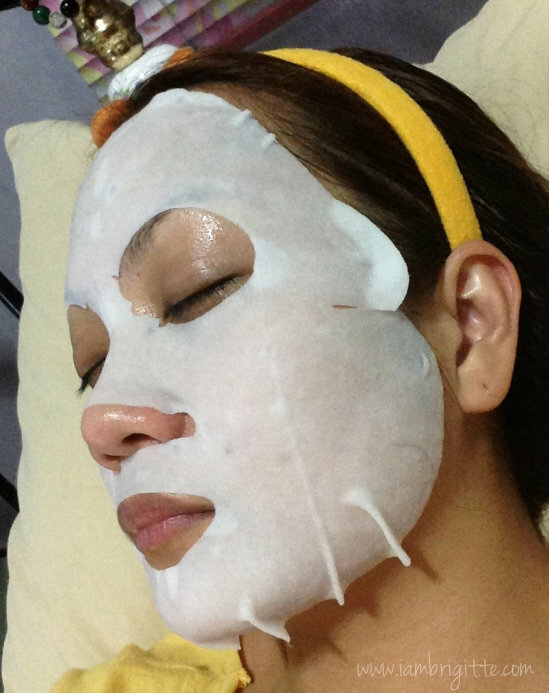 The mask with IonForce Complex on the other hand ejects the crushed melanin from the skin making it look brighter and clearer. 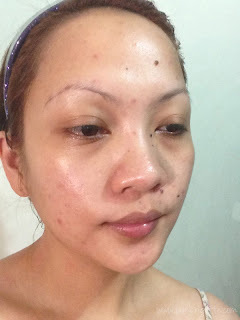 Two pumps of serum is to be used day and night. What I love about it is that it gets easily absorbed by the skin, and there's no sticky residue after. It also relieves redness and itchiness, and gives the skin that instant brightness and moisture. I've been using the serum continuously for 3 days now and I love how it makes my skin look well-rested, despite only getting not more than 5hrs of sleep on most days. Redness is still there but look how bright my skin looks. Pores look less visible too! Do I look like somebody who haven't had a decent sleep for days? 4 days to go and we'll see if this duo is really good. I'll post an update after a few more days, so stay tuned! "Get brighter, spotless skin with #ShiseidoWhiteLucent. 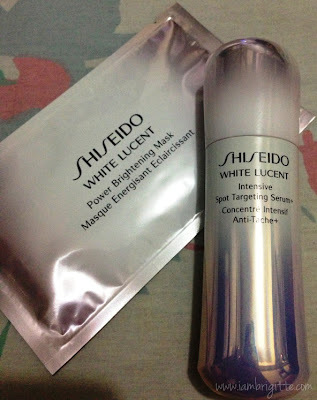 Read more about it on @_iambrigitte_'s blog http://goo.gl/ZhuqY @shiseidoPH"
Then leave a comment with the link of your tweet and your email address. Don't forget to follow me and ShiseidoPH as well! I'll be randomly selecting a lucky tweet that will win a Beauty Pro eyeshadow palette plus other stuff. Deadline of entries is on Feb28. Please like Shiseido Philippines on Facebook to know more about their products and promos. yay! the mask looks promising as it brightens your skin after! Hi, its a really nice give away,,thanks and hope to be a lucky winner:-)More powers and Godbless.